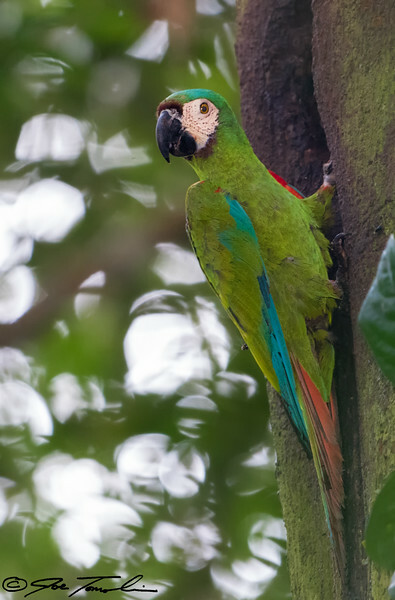 This bird proved to be one of the more elusive macaw species to photograph while in the Ecuadorian Amazon. We heard them frequently, but they simply never came down from the canopy. One day we hear some calling from a much lower level. We were able to silently paddle our canoe around a bend in the creek, and were treated to a great look at this beauty.